you may have learned by now that the way to win my heart is with a big dash of spicyness. for me, the spicier, the better … really. i don’t know how i developed this insane spicy tooth, but i am constantly adding cayenne pepper, crushed red pepper + sririacha sauce to everything + anything. we had over 14 hours of driving to do during our thanksgiving travels + i find that long drives are made infinitely better with delicious snacks, kickin’ music, + of course, good company. 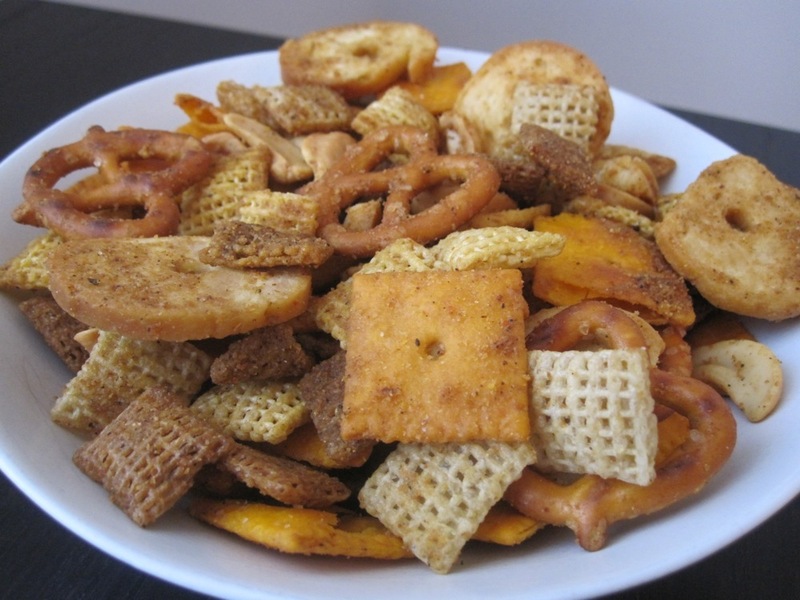 with two of the three already take care of, i decided to make some car snacks for us + started with chex mix with an amy twist – that is, with some interesting dimension in flavor, + a bit of heat. a important note: 1 teaspoon of hot sauce + a 1/4 teaspoon of cayenne will make this what i’d call medium-to-medium/low hot, but what you might find to be a bit too hot. i recommend tasting your seasoning mix with less hot sauce/cayenne to start, then increasing the amounts until you reach your preferred heat level. if you like spicy things, though, these amounts (or more) will probably be perfect for you. enjoy! preheat over to 250 degrees. whisk the first seven ingredients together in a small bowl. combine the rest of the ingredients in a large bowl until blended. mix the seasoning mixture in with the dry ingredients + toss until well combined. 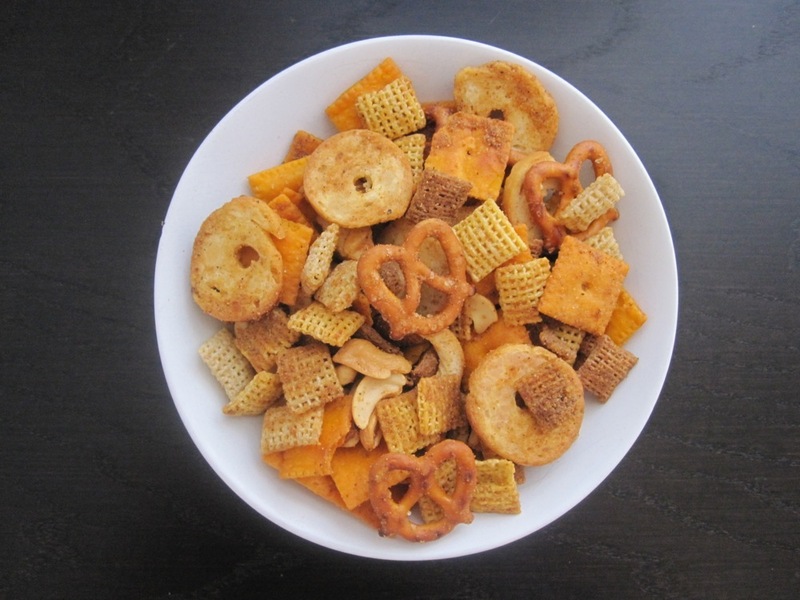 spread the chex mix out on two baking sheets. bake for an hour, stirring every 15 minutes. remove from oven + allow to cool completely on aluminum foil. stir in an airtight container. it’s really tasty! depending on how much you want, you may want to halve the recipe. we had sooo much chex mix floating around here! Just wanted to say that this is a highly loved recipe in our house. We made some for a trip to Charleston last year and shared the extra (because yes, it makes a TON of Chex Mix!) with our dog sitter. 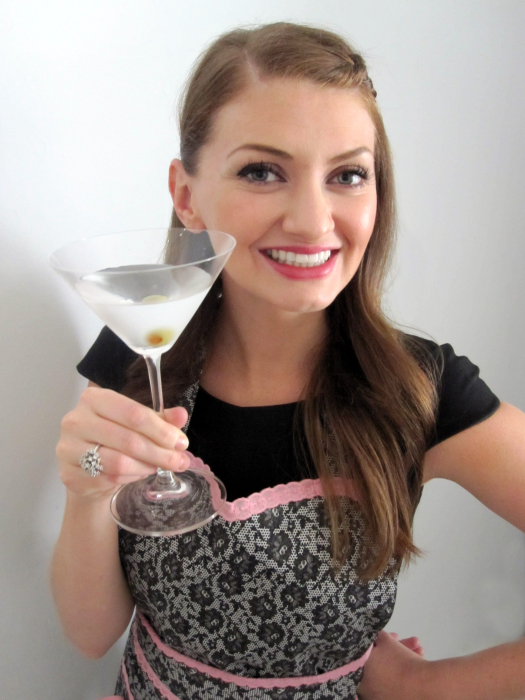 Fast forward 1.5 years and she’s requested I bring it to her holiday party this year because it was such a hit with her and her brother – her brother specifically asked for it!